I used to love Boston Coolers, but after a 20 year break I had one about three years ago and it was so insanely sweet I couldn't finish it. I guess I've lost my taste for sugar over the years. But I still love chocolate milk and Vernors. Ross, give both a try and report back. And if Ross goes to Flint to get a Boston Cooler, does that mean Halo Burger has become a tourist attraction? Hey Gordon, me too! I tried one and I couldn't finish it. I'm glad I'm not the only one that has lost tolerance for ultra-sweet. We are getting OLD dude. Hahahaha. We are old, Shawn. It's time we switched from excessive sugar to excessive salt. So does anyone know if a root beer with vanilla ice cream was called anything other than a root beer float? My dad used to make the as well as Boston Coolers for us when we were kids and would reminisce about a place he used to go to back in the 1940's down on Detroit St. that had a soda fountain in it. It has been ages since I had the conversation with him but I'm fairly sure he said it was in the vicinity of St. Mike's High School. Vernors hasn't been good since the company sold up and now it is being made in Texas and with high fructose corn syrup. 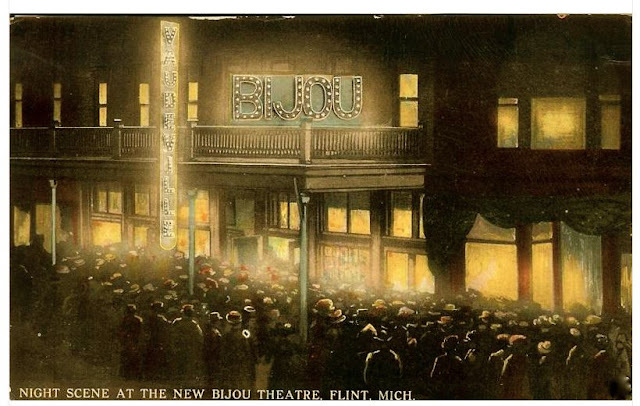 Can someone tell me where this Bijou Theater used to be in Flint? is this the one that was in the Civic Park area? My mother told me about a movie theater in that area. The Bijou, later the Garden, was on First Street. 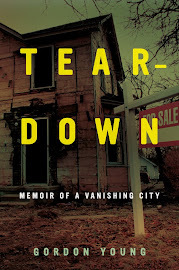 The closest theater I know of to the Civic Park area was the Della, on Welch near Chevrolet. In "my day" Vernors with ice cream was called a Vernors Float. My favorite was a Cherry Cream Vernors...Vernors, a little cream and cherry syrup. I would get this at the downtown Vernors and window shop for a while, maybe go by Bushes and try the perfume samples. We used to get candy at a place called Sweet Marie's right behind St. Mike's on Chippewa Street. Vernors stirred into a vanilla milk shake is a Boston Cooler; we still order them that way at Halo Burger. Home for Christmas from Cambridge MA my son remembered them fondly and that was the place he took his friend for a taste of Flint. No such thing exists in Boston. Oh, yeah, we used to walk to the Della for the matinee, on Welch and Chevrolet. I was just commenting yesterday how nowdays you could never allow a ten year old girl to ride her bike to Haskell pool, walk to the tennis courts at Mott Park, walk across town alone (from west of Longfellow) for art lessons at DeWaters (FIA) or take the bus by herself to the Flint Public Library to read all of the science fiction shelf. I did that in the 1960s.